Shortnose Sucker are probably the most highly-endangered fish in Oregon. The two I’ve caught incidentally have been insane surprises, but given that I fish 150-200 days per year, it was only a matter of time before one took my worm for a spin. A few people told me I shouldn’t write about this one, and I both understand and respect their reasoning; however, I think I should write about this precisely because nobody else wants to talk about it. We have a species at risk of extinction in the next five years, and it’s right in our backyard. 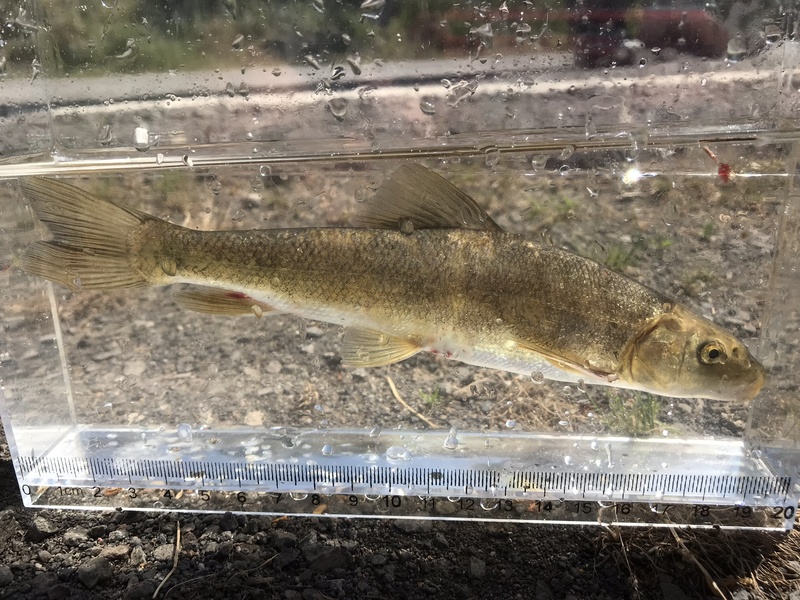 The Shortnose Sucker, an endemic to the Upper Klamath Basin, has an estimated 5000 adults left in the wild. That doesn’t sound so bad when, say, compared to some of the localized pupfish or Alabama Sturgeon, but when we’re talking about a fish that was once so abundant that anglers lined up to snag dozens of them in a day as they moved to spawn, it’s scary. These fish are notorious for their phenomenal ability to smell the slightest hint of bait in the water at up to a mile away. This, in conjunction with their less-than-prominent proboscis led to their name: Shortnose Sucker. Of course, only one of those things is true, but you believe it because it was written on the Internet from a seemingly reliable source. Now, I don’t ever lie to my readers, and I’m pretty damn informed about fishing, but even I don’t know every detail relating to the fish I write about. But some people do. Some people knowingly spread misinformation about fish and the culture of fishing soaks it up without questioning the source. This, in combination with rapid habitat loss, is why Shortnose Sucker populations have declined. People honestly believe they “eat trout eggs” and are actively competing with trout. This is just not accurate. Yes, they probably suction up some eggs, but so do trout. There are numerous videos of trout eating their own eggs. Further, suckers do not compete with mature trout. They have some overlap in their diets, but suckers are bottom feeders while trout are apex predators that cover the entire water column. Suckers more often serve as food for trout than competition for them. Without suckers, the niche they fill would be empty, and an already hypereutrophic lake with frequent algal blooms, fish die-offs, and poor water quality would be devastated. As awesome and adaptable as our trout are, they can’t fill that niche. 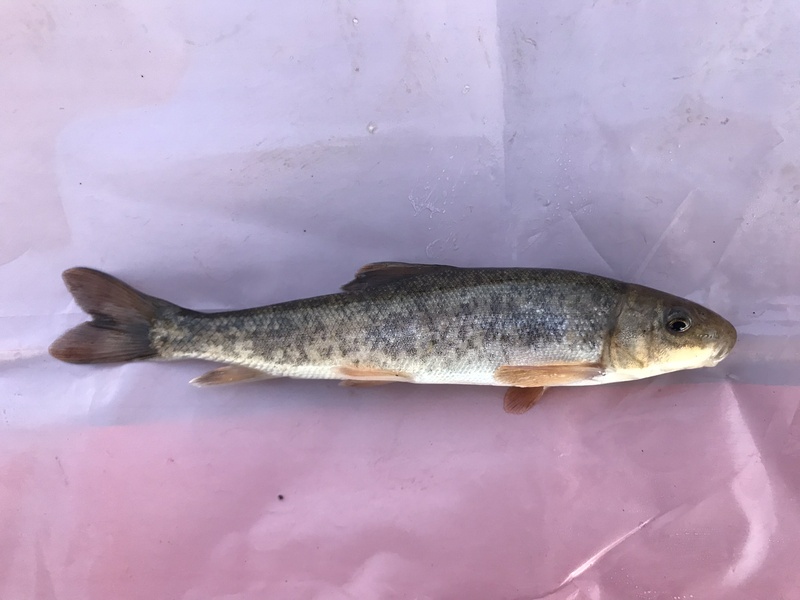 I caught my first sucker on tiny gear while fishing for the invasive Yellow Perch in a river known to be overrun with them, a tiny Shortnose Sucker took my bait. Baby Shortnose Suckers aren’t self-conscious about their short snouts yet because society hasn’t shamed them for it yet, and kids are innocent. When fishing for sensitive species, be sure to never put them on dry dirt, pavement, or rocks. I like to use the inside of a heavy-duty plastic bag with a layer of water thrown on top. This helps preserve a fish’s slime. At first glance, I thought it was a Blue Chub, another endemic that has done remarkably well by comparison. I kill every perch, bullhead, and goldfish I catch in our system, but I always release natives (and Brown Trout, since they don’t really overpopulate and are limited to rivers). I almost released the “chub” when I realized it looked a little different. Quickly, I set it down and snapped a quick picture before watching it swim away, hopefully to start a trend in the right direction. Read the next entry in #SpeciesQuest here: Species #120 — Pacific Herring.